And as such we must keep our hearts and minds open and learn from each other. If we don’t, we quickly see only degrading stereotypes. 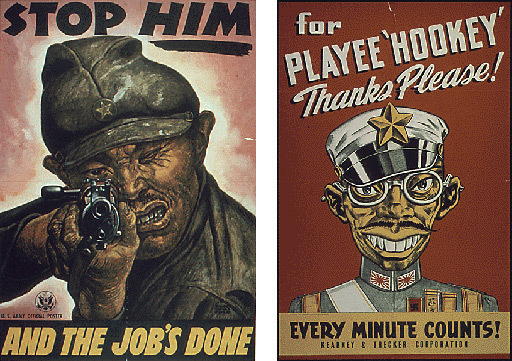 Image shows two US propaganda posters of WWII when stereotypes sunk to their lowest levels.